Do you feel it? The crisp autumn air is moving through Western New York. Pumpkins are scattered around town and the leaves will be changing before you know it. 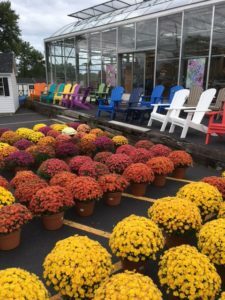 Fall is a very exciting and busy time of year at Zittel’s Market or “The Big Red Barn” on Southwestern Boulevard in Hamburg. 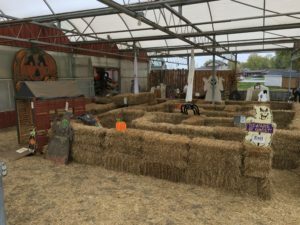 “Our staff is very busy in the month of September setting up our pumpkin headed characters, straw maze, animals, and all our fall decorations. We are also harvesting pie and carving pumpkins, gourds, squash and bundling corn stalks for your fall decorations.” Terry Zittel also tells us that one of the flower essentials for fall – Mums – are being transferred from Zittel’s greenhouses in Eden to the market too. 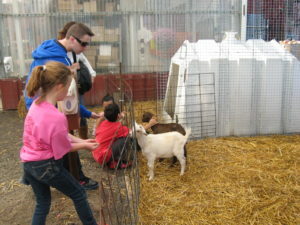 Preschools and elementary schools love making the southtowns market a go to for field trips. Why is Zittel’s a popular destination for kids age 3-10? “Parents and teachers like that they can participate rain or shine. We are under cover for the most part and wheelchair and stroller accessible too.” Activities include lessons on how farmers store food for animals to a story of traditional nursery rhyme character Little Miss Muffett and her great big spider. Children also get to visit Big Jack, Zittel’s giant pumpkin. Bill Zittel has been working his family’s farms for years and he enjoys telling the kids about all the delicious veggies that are grown on the farm. 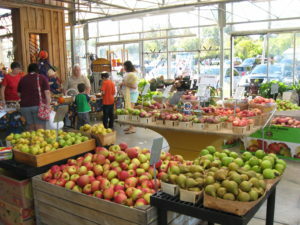 Add in yummy treats like popcorn and cider and you have a perfect fall field trip! Teachers and chaperones have so many opportunities to take great photos of kids too. “It’s a fast and furious hour and teachers have a lot of information to chew on when they return to the classroom. Kids not only have fun but end up learning about farming along the way.” Zittel’s can accommodate any size group from 10-90 at one time. Large groups are split up to rotate through the activities. Zittel’s goes above and beyond with activities for all ages this time of year. In fact, families all over Western New York should mark September 22nd on their calendar. “Our Fall Festival is free family fun and families love to kick off their fall season with a trip to Zittel’s to see the baby animals, play in the maze and bounce house, decorate a cookie, make a craft or have their face painted.” If you’re hungry, bring your appetites because they’ll have delicious food with Weidner’s Chicken BBQ benefitting Eden’s Music boosters and Jim’s food truck. Plus, taste test some of Zittel’s specialty foods too! 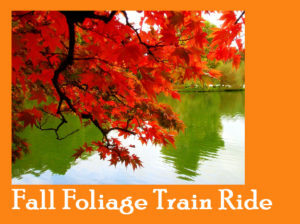 If your kids are train lovers, or if you’re looking for a unique way to see Western New York’s fall colors, Terry Zittel says they also have the perfect family outing – a train ride through Hamburg. “Young, old…and any age seem to love taking a step back in time to ride the rails.” Buy your ticket at Zittel’s and choose your perfect seat – from the open car, caboose, and snack car to authentically restored passenger cars. There’s no bad seat on the train. The trip starts behind Zittel’s to Water Valley and stops over the creek offering a spectacular view before traveling back through Hamburg. To find out more about Zittel’s field trips, the Fall Festival, or the diesel train rides, head to Zittel’s website zittels.com. 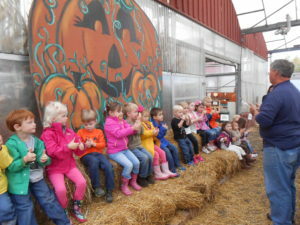 If you’re interested in booking a field trip, call Zittel’s Eden farm office to schedule your group’s visit at (716) 649-6340. 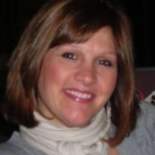 Deanna Russo was born and raised in WNY.She's a former TV news producer with several years of experience in online marketing and public relations.Deanna is a proud wife and mom of three kids. Deanna Russo was born and raised in WNY. She's a former TV news producer with several years of experience in online marketing and public relations. Deanna is a proud wife and mom of three kids.